Everyone points and laughs when dimwitted thieves got caught after taking identifying selfies with stolen iPhones or iPads. However, in its quest to help crack down on Apple-related crime, Apple may go even further by using its Touch ID fingerprint sensor to record the fingerprints of would-be iOS thieves — at least according to a newly-published patent application update. The published document updates a concept Apple patented way back in 2010, describing how Apple could help catch thieves by recording their voice or even snapping a sneaky photo of users as they try to make a phone call using a pilfered iPhone. 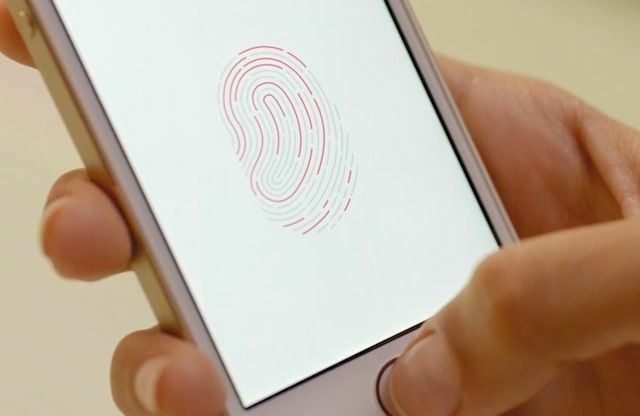 In the latest update, Apple now adds Touch ID to the mix, so that criminals can help relieve overworked police booking clerks by taking their own fingerprints for use in investigations. So far, most of Apple’s anti-crime measures have revolved around features like Activation Lock, and the ability to track the location of lost iOS devices and even remotely wipe them if necessary. Fortunately, these innovations seem to have done the trick — since iPhones are no longer being singled out as the crime rate boosters they were in the early years. Do you think Apple’s latest patent application is a good idea, or a potential security infringement waiting to happen? Leave your comments below.